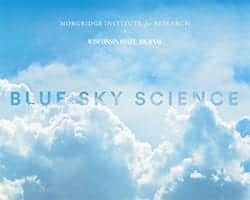 News & Stories > Blue Sky Science > Can brain injuries sustained while playing sports be fully recovered from? Blue Sky Science: Can brain injuries sustained while playing sports be fully recovered from? Can brain injuries sustained while playing sports be fully recovered from? There’s been a lot in the news lately about the potential devastating consequences of concussions when athletes, such as football players, suffer these experiences. A concussion is defined as a traumatic blow to the head coupled with some kind of altered consciousness. Some people refer to it as seeing stars, getting your bell rung. People may feel disoriented for a period of time. The good news is if an athlete allows sufficient recovery after suffering a concussion and before returning to play, the damage done to the brain is likely entirely reversible. Problems arise when an athlete suffers a concussion and returns to their sport before they’re fully recovered. They may be still having symptoms of the concussion, return to their sport, and then suffer another concussion. Multiple concussions without full recovery in between may result in permanent irreversible damage. More research needs to be done on if there’s cumulative damage from multiple concussions, even those that are suffered with apparently full recovery in between. One big problem is that it’s not clear what full recovery looks like when you start to talk about multiple concussions suffered by a single athlete. Why do we have freckles? How much does a human brain typically weigh?